Gretchen Lidicker explains the emerging science behind Britain’s new wellness trend. It may not be part of your supplement regimen (yet) but I’m willing to bet you’ve at least heard of CBD. It’s the trending product in wellness right now, praised for its practically unlimited health benefits. Its spectacular rise in popularity began after a little girl named Charlotte was cured of having 300 seizures a week after taking a little CBD oil in her food each day. Not long after, the compound was everywhere – in our smoothies and chocolates and even bath bombs. Today, celebrities like Kristen Bell use CBD for anxiety and Mandy Moore is a fan of using CBD topically on her feet before she walks down the red carpet. But what is CBD, really? And could it really be the anxiety-, inflammation-, and pain-fighting remedy we’ve all been waiting for? 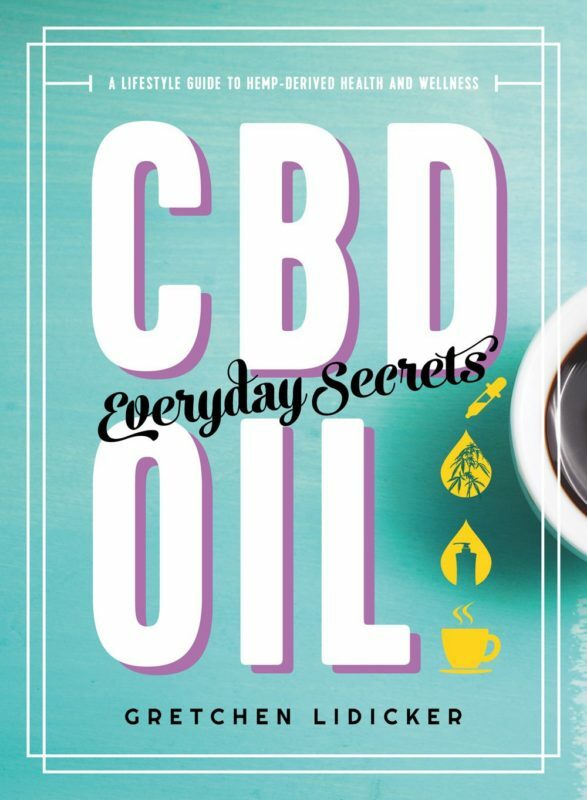 As the author of the book CBD Oil Everyday Secrets and the health editor at mindbodygreen, I’ve interviewed dozens of researchers, doctors, and CBD experts about this compound. I’ve waded through all the myths and misinformation out there and believe me, there’s a lot of it! Here’s what you need to know before you give CBD a try. For starters, CBD (short for cannabidiol) is one many compounds found in the cannabis plant – which includes both marijuana and hemp. These compounds are called phytocannabinoids. Unlike THC, which is the other well-known phytocannabinoid, CBD is non-intoxicating – but is still psychoactive – and won’t get you high. This makes CBD a great way to take advantage of the healing powers of cannabis without getting stoned and losing an evening to bingeing on Netflix and three bags of popcorn. Which may be some people’s idea of a good time, but others will be glad CBD provides another route to enjoying the benefits of cannabis. Unless you’re in a state (or country) with recreational marijuana laws, the CBD oil you buy will be derived from hemp, which means they’re using cannabis plants with very low levels of THC. When you’re buying a CBD oil, there are a few important things to remember. For starters, look for a full-spectrum hemp extract. This means that the oil will be high in CBD but will also contain other cannabinoids like CBG and CBN as well as terpenes, which provide additional benefits. Research has shown that full-spectrum – as opposed to CBD isolates, which just contain cannabidiol – are more effective and easier to dose because of the way all the plant compounds work together, something known as the “entourage effect.” It’s also critical to make sure you’re buying from a company that tests their final product for potency and for contaminants like pesticides, heavy metals, solvent residue, and microbes. CBD’s beneficial properties are all over the map, with research showing promising results for conditions ranging from anxiety and migraines to Parkinson’s disease and eczema. So how does it work? Cannabinoids like CBD interact with a large system in the body called the endocannabinoid system (ECS), which is often described as a “master regulatory system.” We’re learning more practically every day about how the ECS works, but it looks like it plays a big role in maintaining the body’s homeostasis and influences the way we respond to things like stress and pain. The hope is therefore that CBD can help to reduce incidences of both. The research in this area is developing quickly and soon we’ll know a lot more about how CBD might benefit you and me. For now, while the research into the benefits catches up, there is no real science to suggest any downsides – so there’s nothing to stop you trying it for yourself. All you need to be is a conscious consumer and make sure that what’s on the label is actually in the bottle.